Philadelphia, New Jersey, Bucks County Painting Contractor, Cliff Carter Services. : Philadelphia, New Jersey, Bucks County, Painting Contractor, Cliff Carter Svc. Paint serves two functions, the first is protection. A good paint coating will keep sun and moisture away from the surface. 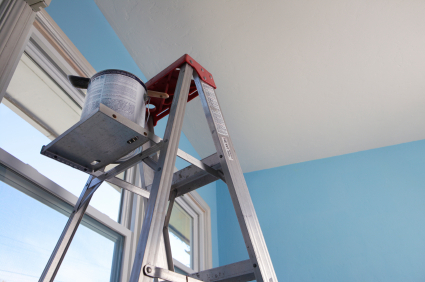 The second purpose of paint is to beautify by giving the desired color and finish. It is my job to properly prepare the surface and apply the paint in order to provide both protection and beauty. We scrap off the loose paint, putty the cracks, sand, prime and then paint. It is absolutely critical that the preliminary tasks are thoroughly performed. This ensures you of the longest lasting paint job possible. That's why we call myselves the "complete painting service." 1. Power wash to provide a clean surface for the paint. 2. Scrape and sand to remove lose paint. 3. 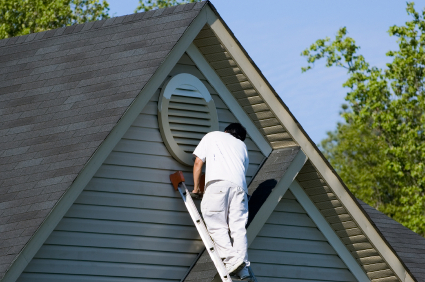 Fill voids and cracks in siding and trim, with the appropriate patching compound for the substrate. 7. Apply top quality finish paint. We paint you house with the highest quality paints and coatings. We use only the highest quality brands of exterior paint, with proven effectiveness against sun, rain, mildew, chipping and peeling. 1. Wash all areas that may cause adhesion problems. 2. Caulk and putty where ever necessary. 3. Perform minor drywall repairs. 4. Prime bare wood, drywall and stains. 5. Mask and protect floors, furniture and belongings. 6. Scrap and sand as necessary. 7. Apply top quality interior paint. We give attention to detail, giving you a quality, professional job that you deserve. We protect you valuable non painted surfaces, you carpet, flooring and furniture.